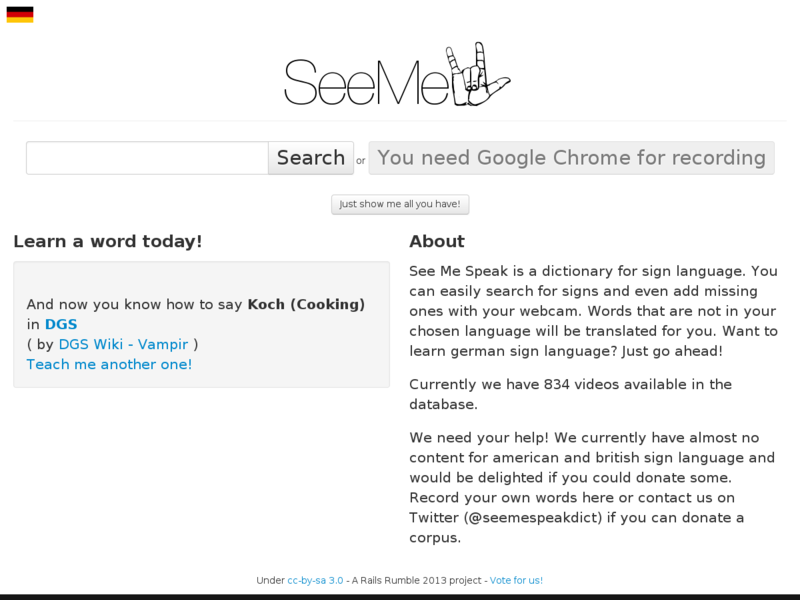 See Me Speak is a dictionary for sign language. 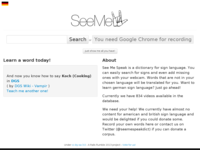 You can easily search for signs and even add missing ones with your webcam. We wanted to build something both useful and helpful: there are currently no easy ways to document and learn sign languages on the internet. Technologicaly, we wanted to play with HTML 5 video capture (sadly only works properly in Chrome at the moment). We'd love to have your support, because we still need a lot of words. The website is a simple Rails frontend built on Twitter Bootstrap (http://getbootstrap.com/). For the Logo, we used the Gaudette sign language font: http://lifeprint.com/asl101/pages-layout/gallaudettruetypefont.htm. The site is fully translated using Rails i18n in both english and german. As our backend, we use elasticsearch (http://www.elasticsearch.org/) exclusively. We use Virtus (http://github.com/solnic/virtus) to provide models on top of elasticsearch. 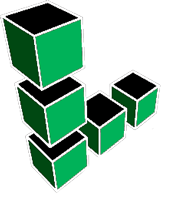 The whole website runs on torquebox: http://torquebox.org/. We use torquebox internal queuing mechanisms heavily. The video conversion is built using libav: http://libav.org/. We use Google Analytics for tracking.